Mexico has been reduced to a single, small, geographical piece of this earth. If there is a murder in Michoacan, then the presumption of the 24-hour news cycle has been that it is too dangerous to travel to Rosarito Beach even though it is thousands of miles away. According to Arturo Martinez from the Mexican Tourism office, no tourists have been killed in the drug war violence throughout Mexico. Still, on a recent CNN news report, U.S. citizens were warned not to travel to Mexico. Well what part of Mexico was CNN referring to? Mexico is a huge country and to say travel to Mexico is dangerous is not only inadequate information but very misleading. Please do not misunderstand me. If you want to find trouble in Tijuana, Mexico City, Los Angeles, Chicago, Paris, I have no doubt that with the proper directions, you will find trouble and the dregs of society you seek. If however, you use common sense, stay out of bad neighborhoods, do not travel at night etc., your journey to Mexico should be not only safe, but a memorable trip with lifetime memories. Mexico is not standing still amid the criticism, unjust or not. If you have any trouble at all once you cross the border into Baja California Norte, all you have to do is dial 078 and press send on your cell phone. You will be connected with English speaking Mexican travel officials eager to help you, drive out to your location or assist you in anyway. 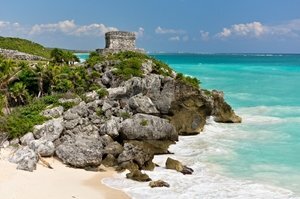 I have personally tried this system on many occasions and never failed to get connected to the Mexican travel bureau. If you have an emergency in Mexico, you can also dial 911 on your cell phone and you will immediately be connected with and English speaker ready to assist you. For private boaters, Mexico has announced as search and rescue fleet. 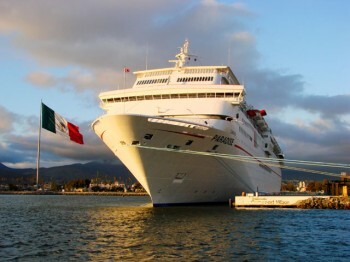 The commanders of these Ensenada-based vessels have been trained by the U.S. Coast Guard and speak excellent English. The sole purpose of the team is to help boaters in distress. Their vessels are capable of more than 50 knots and can quickly respond to rescue a distressed boater. A recent visit by officials from Sportfishing Association of California resulted in the comment that they had great equipment, were well-trained and had friendly personnel. This will greatly increase the desire of yachts, sailboats, and fishermen to go south of the border again. The unit has a 24-hour Radio Watch on Marine Channel 16 and can also be reached by telephone from the United States by calling 011 52 646-1-72-40-00. Holiday outings: Long Beach Sportfishing has two Fourth of July cruises departing at 7p.m. and returning at 10. The cost is $20 for adults and $10 for children, 12 years old and under. Limit is four kids per adult. Information: 562-432-8993. 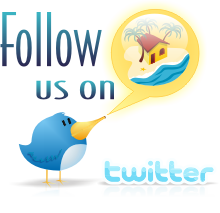 Browse for Baja Real Estate, Mexico Real Estate, Rosarito Real Estate and Ensenada Real Estate.